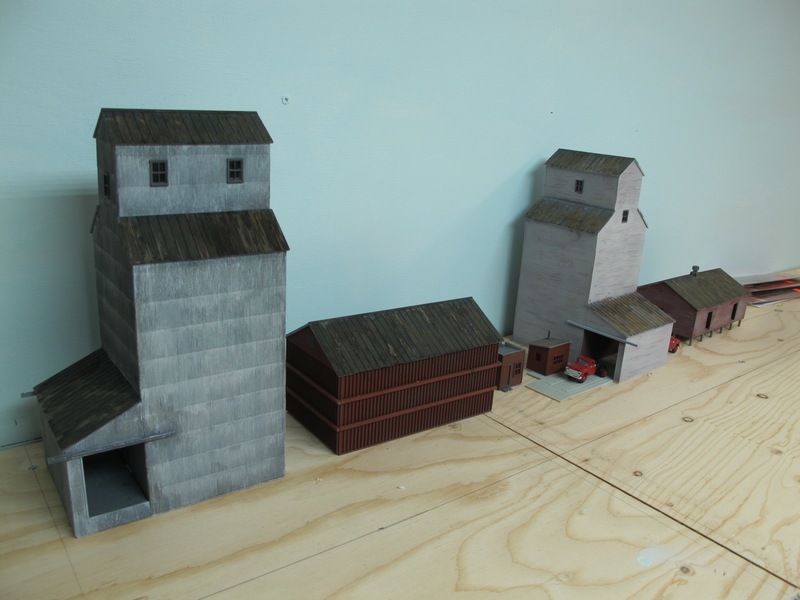 Harte Siding Model Railroad: Scenery structures, Grain elevators. Earlier this past winter I headed down to Warehouse Hobbies and picked out a couple of plastic structures to build for my future model railroad layout. As I have a unrelenting fondness for grain elevators, I naturally chose two from an earlier era that I thought would be a good fit for the layout. 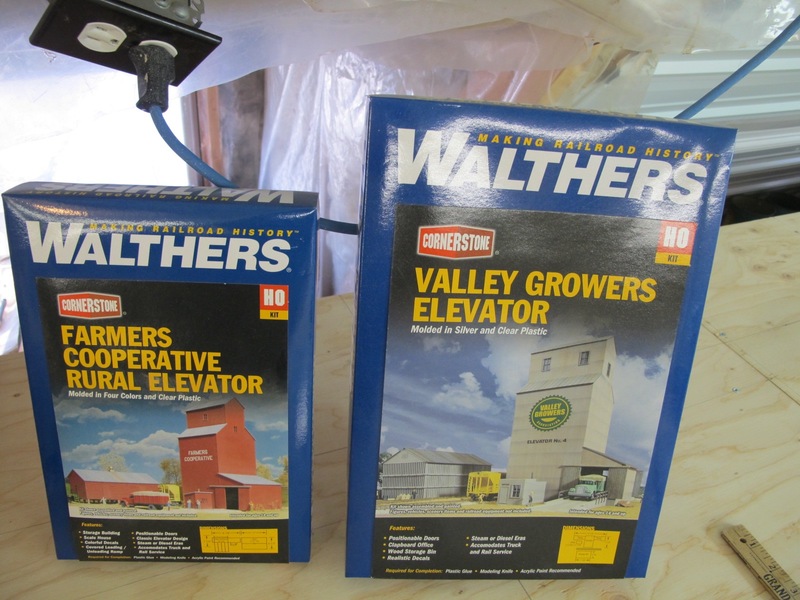 Both are Walthers kits; the Valley Growers Association Steel Grain Elevator and the Farmers Cooperative wood sided elevator. Back in the day, like half a century or so ago, when I was building plastic car models, we used Testors plastic glue from a squeeze tube. Now it's Testors liquid cement that in effect melts the two halves of the plastic and then rebonds when brought together. 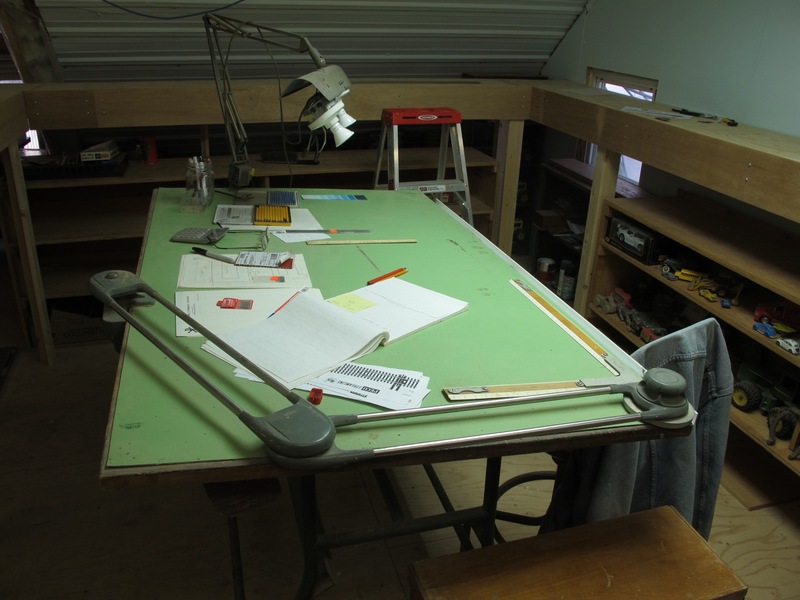 The work station and tools of the trade. I did a primer paint from a rattle can for both structures while the individual parts were still attached to the sprue. I don't own an air brush as yet, so for now, the rattlle cans will have to do. Further to that subject, I talked with Fred from Warehouse Hobbies, and he said he can't remember the last time he used his air brush. Apparently the set up and cleaning of same takes a lot of the fun out of using the air brush. Two minutes of painting and twenty minutes of set up and cleaning. I hear ya. As of late, the there is a huge push towards using acrylic (read, non smelling, easy cleanup with water) as opposed to the solvent based lacquers of old. Of further note, when I went looking for paints at Warehouse Hobbies, their paint rack was near empty. I thought that a bit strange, maybe they had a blow out sale recently or something, until Fred clued me in. They don't bring in paints during the cold months due to possible freezing and ruining of same. So if you want specific model railroad type paints/colours, you have to get them in the summer months and stock up for winter building. Good to know. Although again, Fred related that you can do as good a job with a rattle can, once you've practiced up. On the initial assembly some of my joints didn't hold together quite the way they should, so I had to redo. Don't think I was holding it long enough for the bond to take hold. When you watch the Model Railroader videos and that Tenax stuff they use, it looks like it bonds almost instantly. Can't seem to find it here. On one of my visits to the hobby shop I purchased a pair of Xuron sprue cutters. A little pricey but they sure cut nice and clean and close, almost eliminating the need to sand. 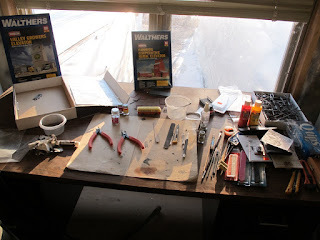 Lots of sanding sticks and an Xacto modellers knife with the #11 blade. 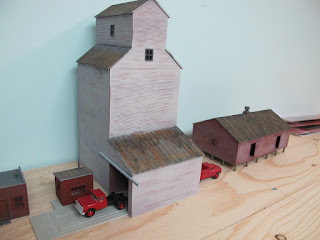 A close up view of some weathering applied. I then tried my hand at some weathering which turned out only so so. But like the master modellers keep saying, it's not so much a technique but an art form unto itself. Practice, practice, and more practice. I used some india washes, lights coats of white spray paint and then dry brushing, and of course some acrylics. I haven't as yet used any dull cote, I think they want $10 bucks for a small puny can at the hobby shop. Fred says a suitable alternative would be Krlyon clear matte finish from Canadian Tire. Have to look for that. I'd love to try my hand at kit bashing and scratch building. But that will have to wait for another day. In the meantime I purchased another couple of plastic kits that I want to assemble and maybe a little kit bashing. Stay tuned.